The owner of three area golf courses has unloaded one of its clubs, turning it over to the residents of the surrounding neighborhood. 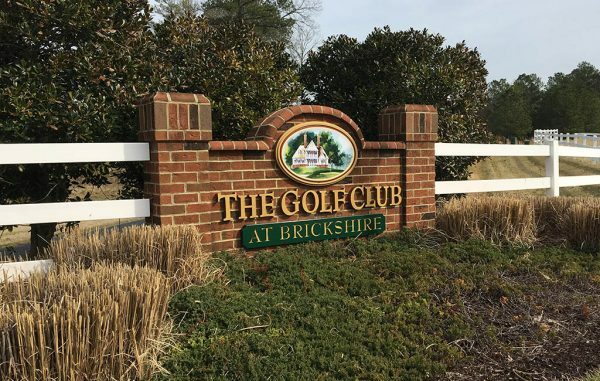 Brickshire Golf Club in New Kent County was sold Tuesday for $2 million to the Brickshire Community Association, a group that represents the nearly 1,100-lot housing development about 30 miles east of Richmond. The 229-acre course was sold by Traditional Golf Properties, which still owns neighboring Royal New Kent Golf Club and the Golf Club at Stonehouse in Toano. Those two courses shut down in January and have remained closed as Brickshire remained open as usual and its deal played out. The trio of semi-private clubs was put up for sale last year and went under contract to an unknown buyer in the summer. That deal never materialized, creating an opening for the Brickshire association. Jerry Assessor, president of the association, said the deal first had to pass muster with a majority of Brickshire residents and lot owners. “The encouraging part is that the neighborhood came together,” said Assessor, adding that the group needed two-thirds of the lot owners in Brickshire to vote in favor of the deal. Traditional Golf owner Paul Mauk could not be reached for comment about the Brickshire sale or the future of the company’s other two local courses. It paid $425,000 for Brickshire in early 2010. It has owned Royal New Kent and Stonehouse since 2001, paying $5 million for each course that year. C&F Bank, the lender on the property for the previous owner, is also the lender for the association’s purchase. The course will now be run by Wingfield Golf Management Co., a South Carolina-based company that manages New Kent course Viniterra Golf Club. Assessor, who has lived in Brickshire since 2008, said the majority of residents recognized that while golf is often a tough business, it was more favorable for the neighborhood to determine the future use of the property, rather than a third-party owner. Assessor said the association and Wingfield are tweaking the rates for rounds and membership at the course, with packages for residents and non-residents.